Inside Fort Adams' northwest bastion, which doesn't seem like a bastion as much as...a dogleggy wall, maybe? 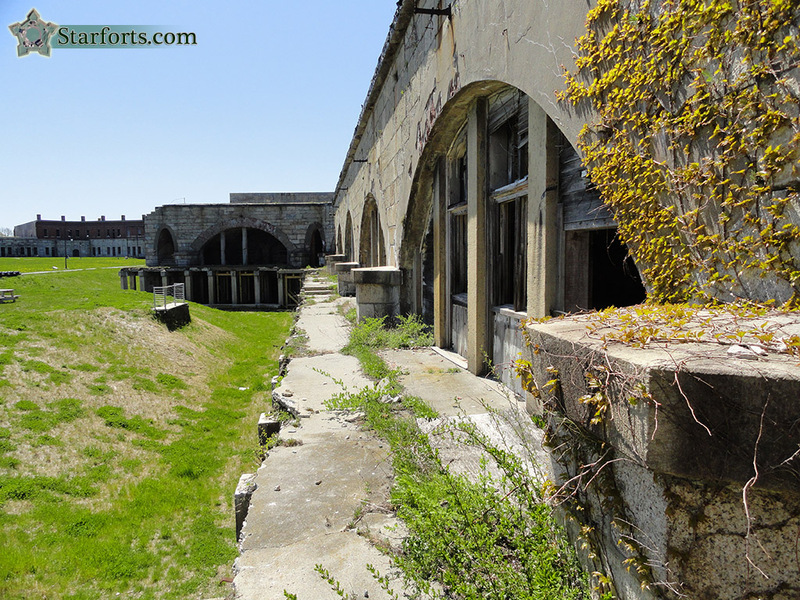 All along the west wall are open, ramshackle casemates, including...Fort Adams' bowling alley. Walking along the west wall, I felt chafed indeed at being under the eyes of a tour guide, because man did I want to get into those casemates!